SYLHET, Bangladesh – West Indies Women easily beat Sri Lanka by eight wickets to record their third win in a row at the ICC Women’s World T20 Tournament at the Sylhet International Cricket Stadium, on Friday night. Led by a four-wicket haul from spinner Shanel Daley and an unbeaten half-century from Stafanie Taylor, the Windies dismissed the Sri Lankans for 84 in the 17th over and they strolled to 87-2 off just 15 overs. The victory kept the Windies at the top of the points table in their group and booked them a spot in the semi-finals. This is the third consecutive time they have qualified for the Final Four in this tournament. Daley won the Player-of-the-Match award for her impressive figures of 4-0-15-4. It was the second time in her career that the 25-year-old left-arm spinner took a four-wicket haul in this format. Coach Sherwin Campbell said he was pleased with the performance and looked ahead to the fourth and final preliminary match against India next Tuesday also at the Sylhet International Cricket Stadium. “Three wins on the trot is great and the right kind of momentum for this team. We are playing some fantastic cricket and this win just reassured us of that,” Campbell said after Friday’s win under lights. 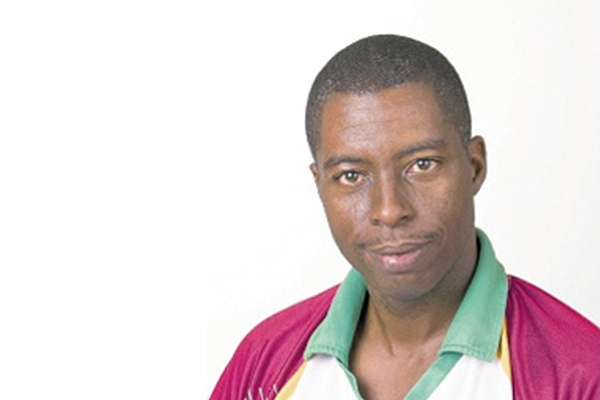 Campbell, a former West Indies opener, has chartered the course of West Indies Women’s cricket since he took over as coach in 2008. He said he expect this team to go on and win the title. “We have made it into the semi-finals for the third time in a row and now we have to believe we can go all the way and win it. That is the reason we came here to Bangladesh and that is what we really want,” he asserted. The coach was full of praise for Daley, the Number 2 ranked bowler in Women’s T20 Internationals and Taylor, the two-time ICC Women’s Cricketer-of-the-Year and Number 1 ranked allrounder in women’s cricket at the moment. “Daley struggled a bit in the earlier matches but she’s a quality bowler and a fighter so I was not too worried about her. I knew her time would come and she delivered in a meaningful way today. She is back to her best and with the other bowlers also performing we have a formidable attack in these conditions,” Campbell said.